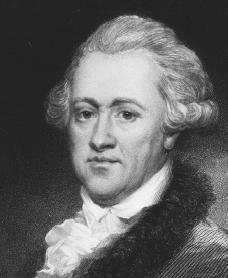 The German-born English astronomer (scientist who studies stars and planets) Sir William Herschel discovered the planet Uranus, the motion of the sun in space, and the form of the Milky Way. William (originally Friedrich Wilhelm) Herschel was born in Hanover, Germany, on November 15, 1738. His father, Isaac Herschel, was a musician in the Hanoverian guard, which William joined as an oboist (one who plays the oboe) at the age of fourteen. After Herschel relocated with his brother to England in 1757, he conducted, copied, performed, and taught music to make his living. In Yorkshire he conducted a small military band, and from 1762 to 1766 he was a concert manager in Leeds, England. His notebook of 1766 has these entries: "Feb. 19. Wheatly. Observation of Venus" and "Feb. 24. Eclipse of the moon at 7 o'clock a.m. Kirby." These are the first signs of Herschel's future interests. By the end of 1766 he became organist at the fashionable spa town of Bath, England. In 1772 his sister, Caroline Lucretia Herschel, came to live with him at Bath. She worked with her brother on his studies of astronomy. In 1773 there is a scientific entry of note in Herschel's notebooks: "April 19. Bought a quadrant [an instrument for measuring the height of an object in the sky] and Emerson's Trigonometry [the study of the properties of triangles]." That this entry marked the start of a new phase in his life is shown by the fact that it is followed by others of a similar nature: "Bought a book of astronomy … bought an object glass … bought many eye glasses … hire [rent] of a 2 feet reflecting telescope." These entries show that he was proposing to make his first (metal) telescope mirror. Joined by his sister, Caroline, Herschel began constructing reflecting telescopes. Obsessed with astronomy, Herschel progressed through cardboard and tin-tubed telescopes. When he tried to buy a much larger reflecting telescope in London, he could find nothing suitable or affordable. For this reason he began to build his own. By September 1774 he was observing the heavens with a Newtonian reflecting telescope with a 6-foot focal length of his own construction. Meanwhile Herschel began to keep a record of what he saw in his observations from March 1, 1774. He observed the rings of Saturn, the moons of Jupiter, and the markings of the moon. In 1777 he began observations of a well-known but neglected star, Mira Ceti, which varies in brightness periodically. Soon he had the idea of determining the annual parallax of stars (the shift in what appears to be the positions of the stars as the earth goes around the sun). Whether the stars were so far away as to make this apparent movement unobservable was not then known. Herschel observed the compared positions of pairs of stars close together (called double stars). He measured hundreds of double stars, but in March 1778 he recorded his disappointment at finding "the stars in the tail of Ursa Major [the Big Dipper] just as I saw them three months ago, at least not visibly different." In recording double stars scientifically, on March 13, 1781, Herschel charted a pair of which "the lowest of the two is a curious either nebulous [body of space gas] star or perhaps a comet." Four days later he looked for the object and found that it had moved. What he had discovered was the planet Uranus, as it is now known—the first planet to be discovered in historical times. Herschel was given the Copley Medal of the Royal Society and elected a fellow (member). Herschel began writing, announcing his second great discovery, "Motion of the Solar System in Space"(1783). He carefully noted the proper motions of seven bright stars and showed that the movement in the intervening (time in between) time seemed to converge on a fixed point, which he interpreted correctly as the point from which the sun is retreating. Other discoveries followed, including the first known map of the milky way's placement in the sky. In 1788 Herschel married Mary Pitt, a wealthy widow, by whom he had his only son. Herschel was able to make a useful additional income by selling telescopes, and he invested money in building machines to help grind mirrors. Herschel was knighted (honored by the king for his value) in 1816 and received honors from countries and academies the world over. He died in Slough on August 25, 1822. Armitage, A. William Herschel. London, New York: Nelson 1962. Crawford, Deborah. The King's Astronomer, William Herschel. New York: J. Messner, 1968. Hoskin, Michael A. William Herschel and the Construction of the Heavens. New York: Norton, 1963.